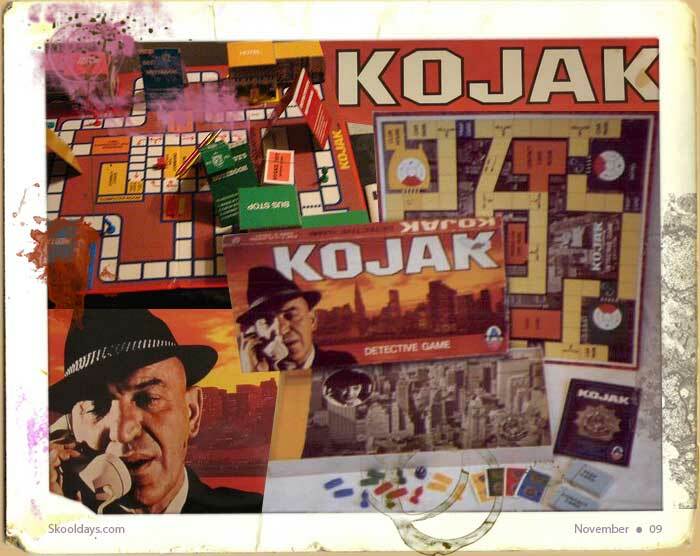 In 1955 a new game was released. 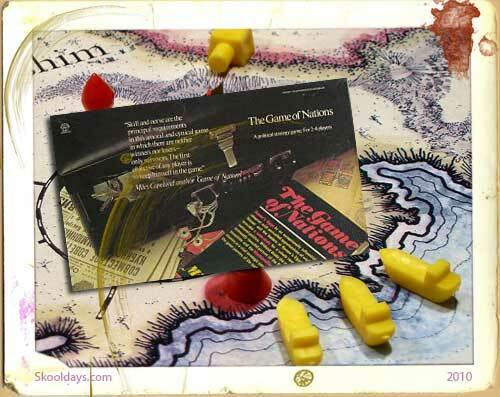 I vagualy remember it at school as a semi education game. 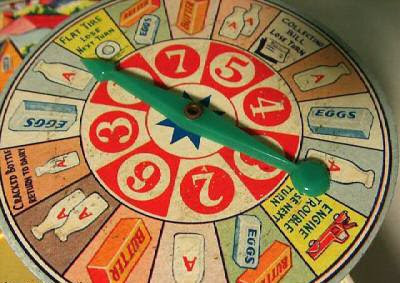 The play and learn at the same time was certainly the reason my teacher in the infants allowed us to play this once our work was done. The whole thing was very reminiscent of the film starring Norman Wisdom called The Early Bird. Competing Milk Floats down different roads and neighbourhoods. Though I remember very little on how to play it as it was over 35 years ago i last saw it. 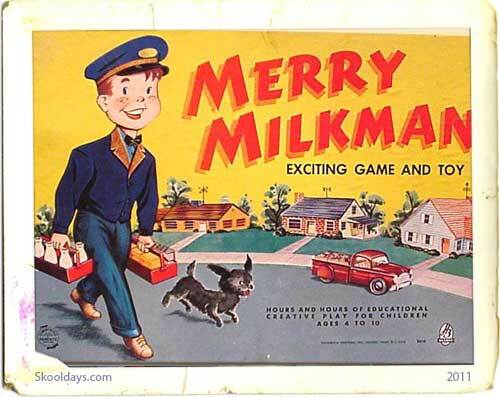 Does anyone know the rules fro Merry Milkman game? If so, then please let us know? I believe Hasbro made it and spares are still available on eBay. So if you remember this game or remember how to play it please comment below. 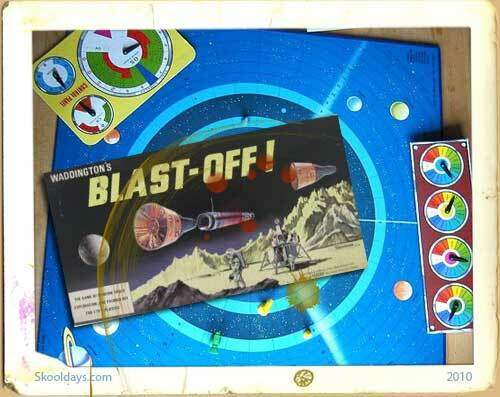 This entry was posted in Toys and tagged 1950, 1960, 1970 by Skooldays. Bookmark the permalink. 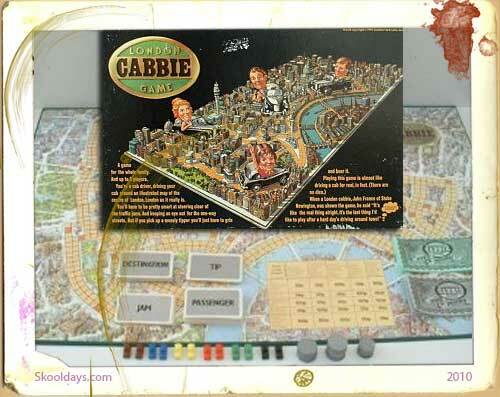 My wife had this game at home as a child and we then played it with our children. They are now 22 and 19 and still like to play it for old times sake. I’ve just bought this game for a couple of pounds in our local charity shop, and I’m sure my two girls will have a great time playing it. 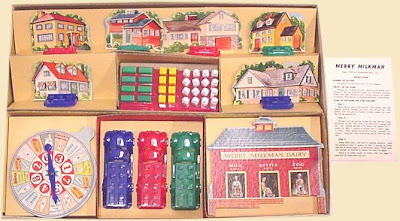 The one I have was made in 1960 and differs slightly from the one shown here, the dairy is a United Dairies store, so I guess the version I have was made for the British market. The instructions are intact so if you’d like a copy of them let me know! I just bought this game and have the instructions. I could copy it and send you a copy if you want. Or, I’m selling it, near mint, for $145.00 plus shipping. 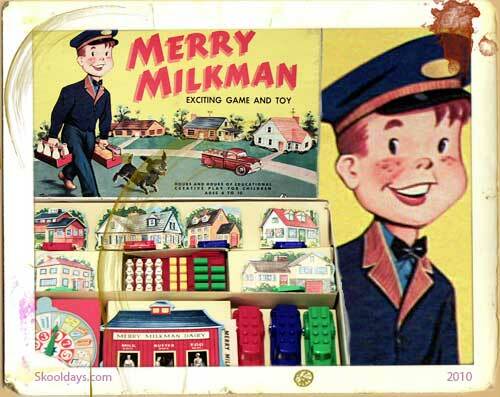 Did you sell the Merrymilkman game in the end Ken? I have the main parts to the game except for the trucks. I would love to find the 3 (red, blue, and green) trucks. My 6 year old granddaughter and I are playing the game with vintage matchbook pick up trucks. Since one of my childhood friend’s father was a milkman, I remember getting up EARLY and going on his route with him when I spent the night with my friend. I was also a customer of milkmen for the first 10 years of my marriage. So, the game has been a great trip down memory lane. 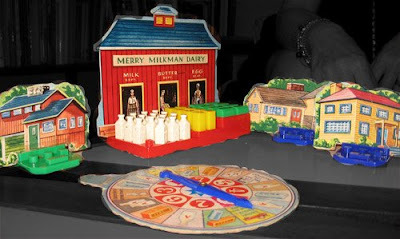 I have a Merry Merry Milkman game with an original sticker price on it for $1.97. I believe everything is there, but may be missing one or two of the milk, eggs, etc. The box is in good shape. Does anyone know how much I could sell it for? 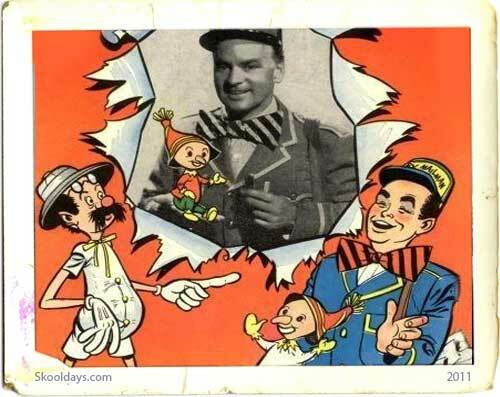 There was also a “Merry Milkman”kids tv show seen in Id. /Users/kevinbutler/Desktop/d8259555d49547d9.jpeg Here is a photo of “The Merry Milkman”(this local Boise,Id.tv character was played by entertainer:Jack Lythgoe).